970tix | SOLD OUT!!! The Daily Sentinel's Best of the West SOLD OUT!!! SOLD OUT!!! 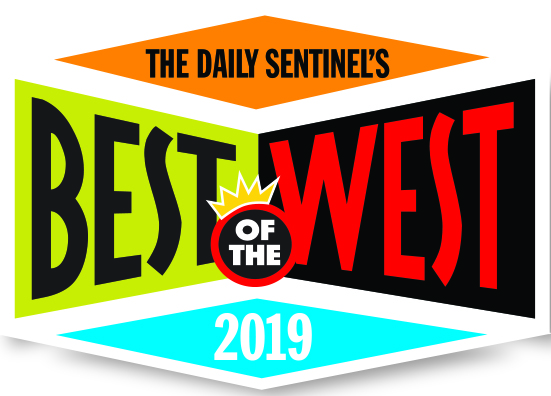 The Daily Sentinel's Best of the West SOLD OUT!!! The Daily Sentinel's Best of the West celebration event will showcase the BEST of the Grand Valley in everything from dentists to real estate agents, from burgers to breweries. A celebration of the winners will be April 11th at Two Rivers Convention Center. Individual tickets are $15 in advance and $20 after April 4, 2019. Tables of 10 are only available through April 4th. SOLD OUT!! !SOLD OUT!! !SOLD OUT!! !SOLD OUT!! !SOLD OUT!! !SOLD OUT!! !SOLD OUT!!! Winners will first be announced April 11, 2019, at the event. Come and celebrate the best that western Colorado has to offer. Join us for a fun, casual, happy hour at 5 p.m. and a presentation of all the winners at 6 p.m.! Appetizers and cash bar. Admission is $15 for individuals, and $20 after April 4. Reserve a table for 10 for $120! Tables only available through April 4, 2019. Winners will be in a special magazine publishing in The Daily Sentinel on April 12, 2019. To read last year's Best of the West & Portrait magazine, visit our magazines site. Winners of Best of the West are allowed to use a special Best of the West 2019 logo on their marketing materials throughout the 2019 year. Plaques are given to the top three winners in each category. These winners have received two free tickets to the event. All winners will be mentioned in the Best of the West magazine, which will be published in The Daily Sentinel the following day, April 12th. Ed Bozarth-Mark Miller Chevrolet Buick; Ross Beede, Eileen Turner and Nathalie Ames of NextHome Grand; Synergy Builders, and Coloramo Federal Credit Union. Watch for more information on the event and sneak peeks at ballot information here and on our Facebook Page!